My latest Vinyl Anachronist column is now live on the Perfect Sound Forever website. In this installment I interview Dave Archambault of Vinyl Nirvana and ask him about the art of vintage turntable restorations in 2014. You can read it here. Enjoy! "What are those speakers called, Opera? Yeah, you should be playing only opera on them if you're gonna call 'em that. No, I'm serious. Don't laugh. That's how I evaluate audio gear, by listening to sopranos only. Do you have any sopranos I can listen to? Okay, thanks. Hmmm. I don't know this music. I can't tell if these speakers are any good or not. I'm going to have to go back home and get my CDs." Ah, my favorite show attendee from last year's AXPONA Show in Chicago. A short thin man in his seventies, this guy darted around my exhibit room like a hummingbird, nervously cradling his chin in his hand while he constantly shook his head. He made Dr. Sheldon Cooper seem like that Ty Webb guy in Caddyshack. He never came back with his music--I'm not even sure if he made it out of the parking lot of the hotel in one piece. As strange as that guy was, however, I still feel like I let him down by not having a proper recording of a soprano to wow him and make him buy my stuff. Now I do. 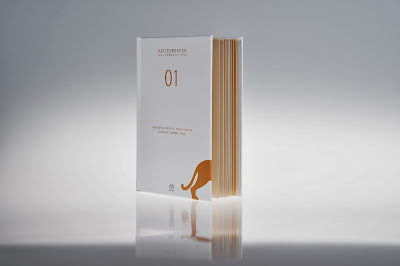 I've already previewed these new recordings from Katzenberger Music Productions of Germany, so you can read about their uniquely elegant packaging and overall approach to digital recordings. KMP specializes in the use of "natural sound recording and mixing techniques" to achieve an "organically pure sound quality." This means they focus on purist recording techniques and avoid filters, compression and other effects. While that almost sounds like KMP creates recordings that should remind you of your treasured Living Presences and RCA Shaded Dogs, modern digital recording technologies present a sharper, more focused and slightly distant perspective in comparison--sort of like 2L Recordings of Norway has done over the last couple of years. All of KMP's recordings, by the way, are 192kHz/24-bit and are also available as hi-rez downloads. In 01, the first KMP recording, we are treated to a lovely survey of the Lied genre, a German musical form founded by Franz Schubert. Mezzo-soprano Barbara Hofling and pianist Grainne Dunne float through a slightly dreamy yet distinctly Teutonic program of Mendelssohn, Schubert, Schumann and Faure. The former composer is French, of course, but he quietly brought his own influences into the Lied catalog. What I noticed first while listening to these lush, romantic pieces, is that the perspective is very relaxed and laid-back and, like I said, distant. You might be surprised by this placement--both performers sound like they are suspended in a large, almost liquid environment. It took me a minute or so to sort it out, but I eventually realized that this was a recording of two performers in a very large space--something that is confirmed in those thorough liner notes. In this recording you can hear those vast room boundaries defined with each shift into the high register. That's when you really appreciate that somewhat distant perspective--this is an extremely dynamic record and you should probably set your volume levels in advance. This, of course, is all very good news. Listening to such a lovely voice--I've always preferred the more vulnerable, delicate sound of a mezzo-soprano to a soprano, especially when the work is in German--is a huge treat in its own way. With this recording, however, KMP has proven what a lot of people already know--a vocal recording without compression can be incredibly lifelike, and it's hard to imagine sometimes why anyone would want to do this differently. Once you start taking away those peaks and valleys, you've made the leap from "live" to "Memorex" and all the excitement is gone. This purist approach is equally welcome with the amazing Schimmel-Piano K 280 T--you can easily hear those wonderful spatial cues from the piano's soundboard that can be buried in the mix on inferior recordings. That means, of course, that the very first release from Katzenberger is an unqualified hit, an instant sonic reference. I've already listened to 02 and 03 quite a number of times, and I can tell you that all three of these KMP are consistent spectacular, and for slightly different reasons. But it's safe to say that with 01, I feel like I now have the definitive trade show recording for those souls who need a soprano in order to hear the music. All photos were taken from the Katzenberger Music Productions website. On the surface, this new 2L Recording of the Royal Norwegian Navy Band is a primer for dynamics. You know, I'm talking about one of those recordings audiophiles use to demonstrate how exciting their systems are. 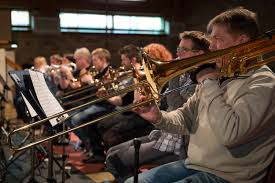 Everything is dramatic, percussive and in your face, and if your heart is leaping then it must be a great recording. Reference Recordings and Sheffield both had similar releases by wind orchestras back in the '80s and they both became audiophile standards--I think I still hear recordings played at trade shows. 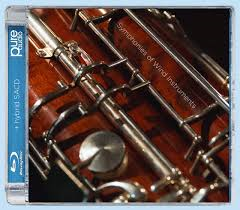 Heck, this release is even called Symphonies of Wind Instruments--direct, plain and to the point. As I'm settling in and judging this record by the first selection, Paul Hindemith's Konzertmusik, I'm thinking I have a handle on everything it's doing. This is a giant, spacious 3-D recording where large groups of instruments interact on an even larger stage, and everything is so crystal clear and lifelike. And again, on the surface, the Hindemith piece is played with the energy and exuberance of a skilled military band--but I couldn't imagine what parade what fit with this kind of music, which is the first hint that this isn't just another demo disc. What a whimsically desolate event that parade would be, I think. Once the nearly twenty-minute Hindemith piece ended, it hit, one of those unfamiliar musical pieces from a favorite composer that just reminds you that there's so much beautiful music out there that I, or anyone else, will never hear. This is from a guy, of course, who's lucky enough to spend large chunks of the day listening to music, and I'm melancholy about this fact. That, of course, is the feeling this music drew out: Arnold Schoenberg's Theme and Variations. I love Schoenberg for the same reason I love Scott Walker--they were both on the cusp of something, and then they turned the corner and found something else. It's fascinating to gather up a wide selection of Schoenberg recordings and just randomly listen to snippets and guess where the composer's head was along that big progressive arc of discovery. Theme and Variations stands out as an oasis of delicacy in this album, and for complicated reasons. It's no less bracing than the other selections on the album, which also include an additional piece by Hindemith, Symphony in B flat and two relatively brief pieces by Igor Stravinsky and Rolf Wallin. It's just that there are emotions and images in this music that seem to gain an additional level of meaning when played by a disciplined military band. It's not that the two pieces don't fit together--it's just that you're surprised when you see the final result. I would imagine that credit goes to conductor Ingar Bergby, and of course 2L's Morten Lindberg, for creating this musical challenge. Needless to say, this is a 2L recording so it sounds completely wonderful. If you're looking for the "air around the instruments," you won't find a better example. Just be prepared that there's a point where this unusual recording stops being what you think it's being, and then becomes something else. And that's exciting. I'm not sure what to make of this disc. If you've been keeping up with this blog over the last few months, you may have noticed that I've fallen in love with the digital releases--mostly redbook CDs mastered from hi-rez files--from First Impression Music. So last month, I made a casual commitment to order one FIM CD per month. I had found the FIM website and had noted on this blog entry that the whole ordering process from FIM went smoothly and I had my order delivered in about four days. So this is Month Two, and I settled this time on FIM's remastering of the Telarc recording of The Very Tall Band. 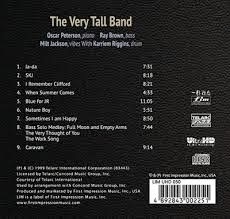 The Very Tall Band, of course, consists of Oscar Peterson on piano, Ray Brown on bass and Milt Jackson on vibes. That's three very good reasons right there to buy this CD. (Oh yeah, Karriem Riggins plays on drums, but for some reason he isn't credited on the front cover with the other three. Maybe he was too short? I don't know.) Anyway, this sounded like a slam-dunk--great performers getting together in their golden years. 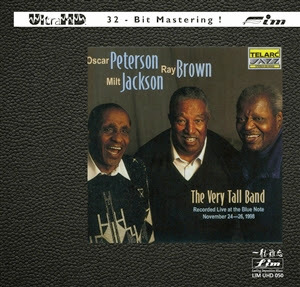 This recording captured a live performance at the Blue Note in 1998, and it's sad to think that all three of the principles had passed away within eight years or so afterward. When I slipped this CD into the Unico CDE and pressed play, however, things didn't sound quite right at first. The opening track, "Ja-da," sounded indistinct and muffled, with a definite midrange suckout. (Celestion SL-600 owners will know what I mean by that term.) At first I thought it was the system--I've been swapping so many speakers in and out of the system over the last few weeks that I assumed I had found a match that wasn't quite, well, a match. But no, it sounded the same on a couple of different systems. So I kicked back and listened to the rest of this album and found that the sound slowly comes into focus as the album progresses. I came up with a few theories, such as my ears had adjusted to the sound after 20 or 30 minutes--something that can definitely happen while listening. Then I started thinking about the size and shape of the soundstage. It was somewhat irregular, which made me start thinking about the recording venue--which, of course, is a very famous place. The next theory: maybe they placed the mikes in weird locations, because there's this sense that you're sitting toward the back of the room and there are a multitude of sonic obstacles in the way--columns, corners or maybe even the three NFL linebackers who just walked into the Blue Note and have sat down right in front of you. I'd like to hear from some knowledgeable jazz people who know the circumstances surrounding this recording, and why it might sound so...irregular. It's not necessarily a bad thing, since the recording does eventually balance out and sound magnificent just like all of the other FIM and Telarc recordings I have. Perhaps--and here's the next theory--the sound guys had some technical issues pop up as the performance started, and they had to tweak the knobs a bit to control the room acoustics. Anyone? Anyone? 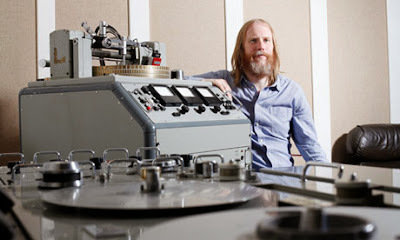 Electric Recording Company: Perfection or Audiophilia Nervosa? All right, I admit that I'm dying to hear how good these LPs sound. I've been hearing about Pete Hutchison and his lofty and hyper-expensive Electric Recording Company releases for the last year or so. No, I'm not going to spend hundreds, or even thousands, to find out. But damn, I'm curious! Here's an article in the Guardian about Pete and his crazy ambition to remaster some of the great classical titles of all time. Has anyone out there taken the plunge? I'd like to find out your impressions if you have! An interesting package from Germany landed in my mailbox yesterday. (I'll date myself by saying that I kept telling everyone it was from West Germany. I don't know why.) Katzenberger Music Productions, which released three new digital recordings late last year in Germany, is set for a launch in the US at the end of this month. These first three recordings, titled 01, 02 and 03, are presented in the opulent hardcover booklets you see in the photos. The packaging is gorgeous, right down to the rubbery pucks that hold the discs in place (no more broken bits of clear plastic! 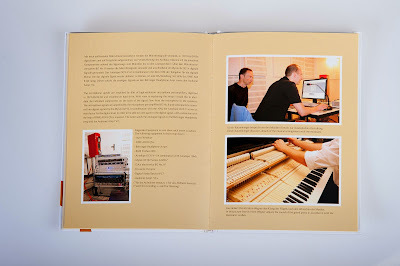 ), and the little booklets themselves contain pages and pages of liner notes and photographs. In other words, this is a first class production in every way. I'll review each of these three titles separately in the near future, but after listening to each one I can say that the sound quality is absolutely state-of-the-art, and the performances are very, very lovely. The first CD features mezzo-soprano Barbara Hofling backed up by pianist Grainne Dunne. The second CD--my favorite so far--features Anne-Sophie Bertrand on harp. The final CD is a collective of four musicians--Heinrich von Kalnein, Sebastian Gille, Henning Sieverts and Jonas Burgwinkel--playing a very loose, very un-German set of improvisations that are primarily jazz yet meld into blues and even classical. The level of detail in this final disc is nothing short of breathtaking. What's even more interesting is the varying choices of digital format offered with each disc. 01 and 02 are offered in CD/SACD hybrid formats, while 03 includes both a hybrid disc and a Blu-ray audio disc--presumably to take advantage of the surround sound technologies used in that particular recording. Each of the titles are 192 kHz, 24 bit recordings that have those silky, effortless high frequencies that only hi-rez digital possesses. I can't wait to spend more time with each of these discs--so far they're winners. Have you ever heard of Hastings? I'm not talking about the battle that took place between the Normans and the Anglo-Saxons in the year 1066, but the chain of video, music and book stores that are spread lightly throughout the middle of the United States. We had them in Texas, but I never stepped foot in one the entire four years I was there. We do have one here in Montrose, just a few blocks away from my house, and I have been in that one several times. Until last night, I was batting .000 when it came to leaving that store with a DVD, CD or book in my hands. When Scottish writer Iain Banks died last year, I wanted to find a copy of The Wasp Factory. No dice. When I wanted to buy Janelle Monae's The Electric Lady and Neko Case's The More I Fight... on CD, they didn't have either despite the fact that they both entered the Billboard 100 the week they were released. When I wanted a great price on three specific DVDs I needed for a birthday gift--The Descendants, Life of Pi and Silver Linings Playbook, they didn't even have one of them--and all have been released in the last two years. I had to go to Amazon, instead of giving my money to a local business. 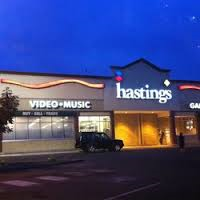 Hastings, for better or worse, isn't the type of store I'd normally patronize. It's sort of a mess, the Ross of home entertainment stores--although if you're into Frisbee Golf, this appears to be the place to stock up on those kind of discs. I'd pretty much given up on Hastings as a source for CDs, DVDs or books until I found myself there last night, looking for something in particular with unusually low expectations. That's when I discovered their LP section. At first I found three LPs--new pressings of the latest Vampire Weekend, Arctic Monkeys and some remix compilation--on a single shelf above the new CD releases. (Even the new CD section is pretty spartan, unless you like new country.) I toyed with getting something, just to say I did it, just so that the buyer for Hastings could say, "Hey, LP sales are suddenly hot--we should get some more!" Fortunately I browsed through the music section and found an addition bin toward the back of the store. Where else, after all, would new LPs be merchandised in 2014? I found everything from a copy of Sgt. Pepper's, one of those recently remastered LPs that came out about a year ago, to some strange 10" Jimi Hendrix pressing I'd never seen before, to a smattering of cool jazz and easy listening titles. What I did find, much to my surprise, was a Sundazed pressing of The Left Banke's Walk Away Renee/Pretty Ballerina for $15. The last time I surfed the Sundazed site, I almost bought this. A friend of mine recently told me about rediscovering the Left Banke, and how he felt they were just like Love, only better. I promised him I would check it out...one day. I've written about this subject before in a Vinyl Anachronist column for Perfect Sound Forever. I had found a pretty decent little LP section in Fred Meyer, my local grocery store, and thought it was convincing proof that the Vinyl Renaissance was in full swing. After a few months, however, the section vanished and I thought, oh well, so much for that. But I still continue to be amazed at how many retailers are putting LPs out on the sales floor just to see what happens. The bad news is that this album is simply horrible sound-wise. I've always enjoyed the Sundazed reissues--the prices are usually under $20 per disc and they have great taste in music, but in most cases they're more interested in remastering LPs until they're merely listenable, as opposed to creating a new catalog of audiophile reference discs. This Left Banke album is a clean pressing with almost no surface noise, but it sounds like it was remastered from an old cassette that was left in someone's pickup truck for a few years. It sounds tinny, compressed and small, like someone hooked a cheap transistor radio to a pair of old Klipsch Cornwalls. Oh well, you can't win them all. I haven't lost the faith, however--I plan on buying a few more LPs from my local Hastings and totally messing with the store manager. "I don't know what it is, boss, but Montrose seems to be a sudden hotspot for LP sales!" Nope, it's not really a hotspot, but the Vinyl Anachronist did move in a few blocks away. Make him happy and buy some more.